We never have enough leather jackets right? Here is the latest addition to my closet c/o Joe Fresh from my last visit to their NEW store in SoHo, NY. The way it looks, seriously deserves to be framed but is so irresistible not to wear it so stay tuned to see a first outfit with is! I love Joe Fresh. 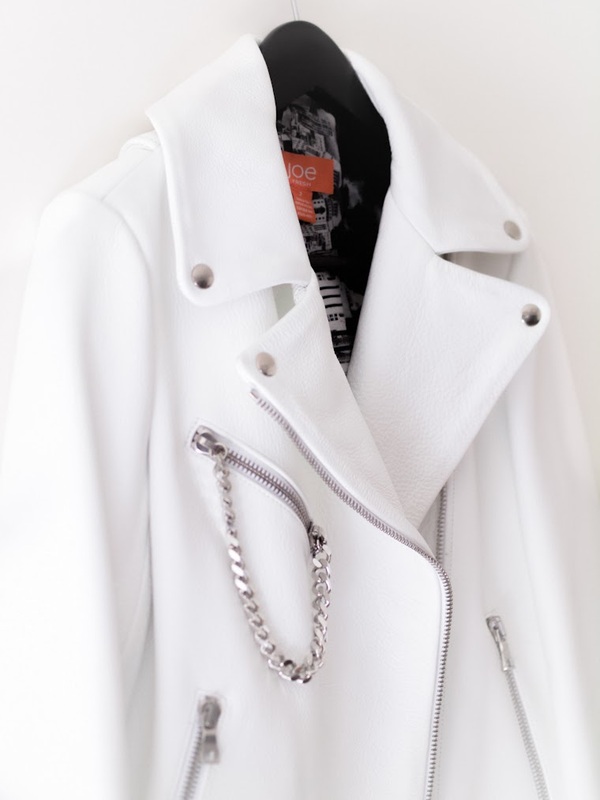 This jacket is killer! Oh my! 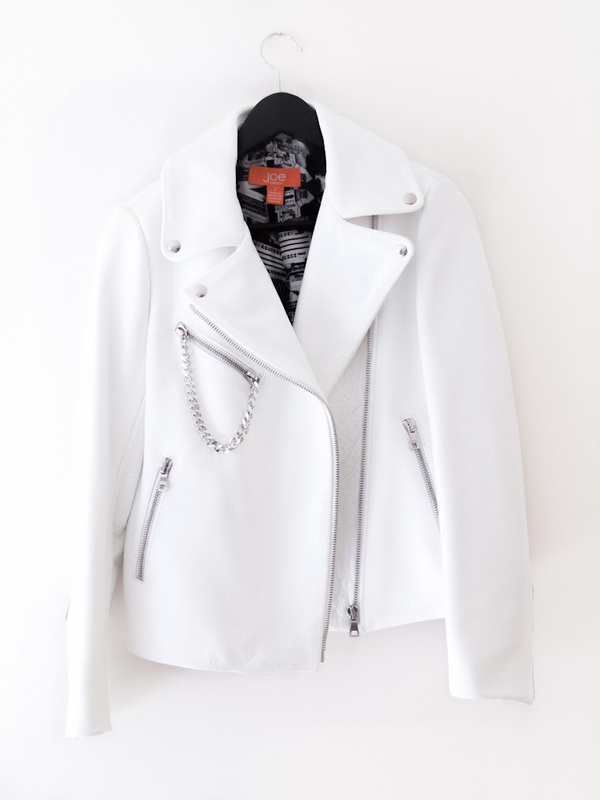 This looks like the perfect white jacket! That is one really cool jacket! In love!!!!! I have to find it for myself. Love your blog, love your style!! Following your site, please check out my blog too! thank you! !